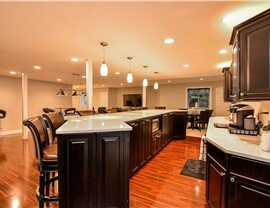 From the ceilings to the floors, we can upgrade your basement with high-quality remodeling services. 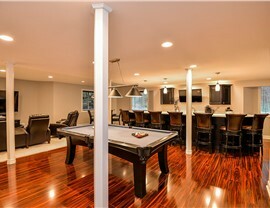 Are you making the most out of your home’s basement? 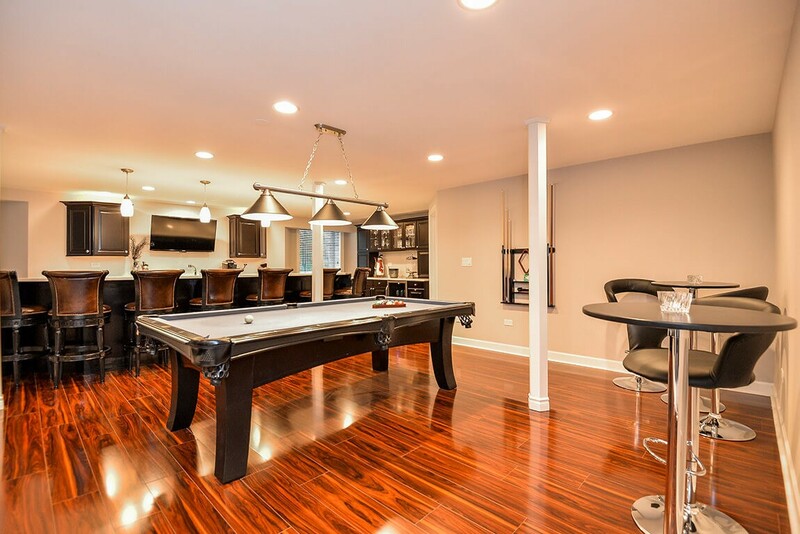 If this area of your home functions more as a dark storage area than usable living space, Matrix Basement Systems can transform it into your favorite room of the house! 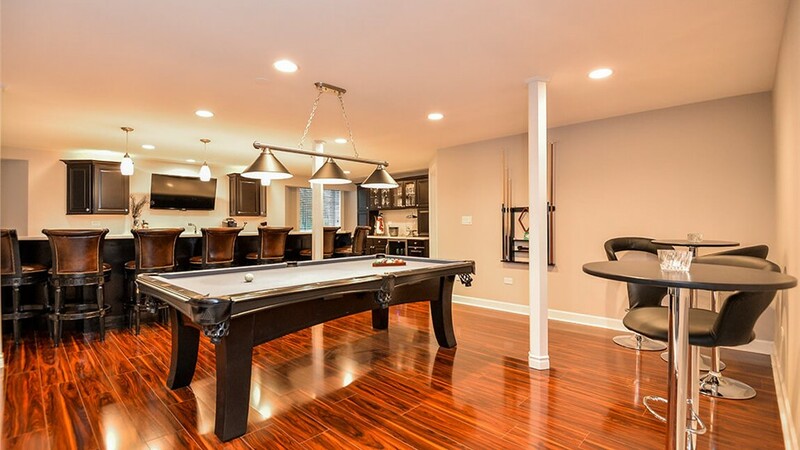 As a leading Canton basement remodeling company since 2009, we offer innovative solutions for creating stylish, low-maintenance basements that suit the unique needs of each family—from adding an extra guest bedroom to turning the area into a beautiful, customized game room. Basement Ceilings: With our eco-friendly ceiling tiles, we can give you a customized ceiling that is beautiful, resistant to water and fire, and built for long-term durability. Egress Windows: Basement egress windows are required in remodeling to keep your lower level safe and up-to-code, and we offer energy-efficient options to suit the needs of your basement. 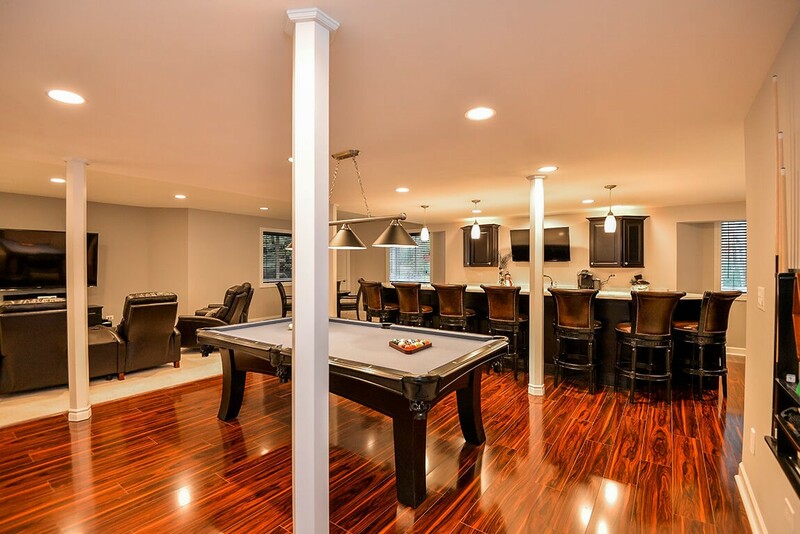 Basement Flooring: By installing subfloor that acts as a moisture, sound, and thermal barrier, we can then add quality flooring in your choice of materials and customized styles. 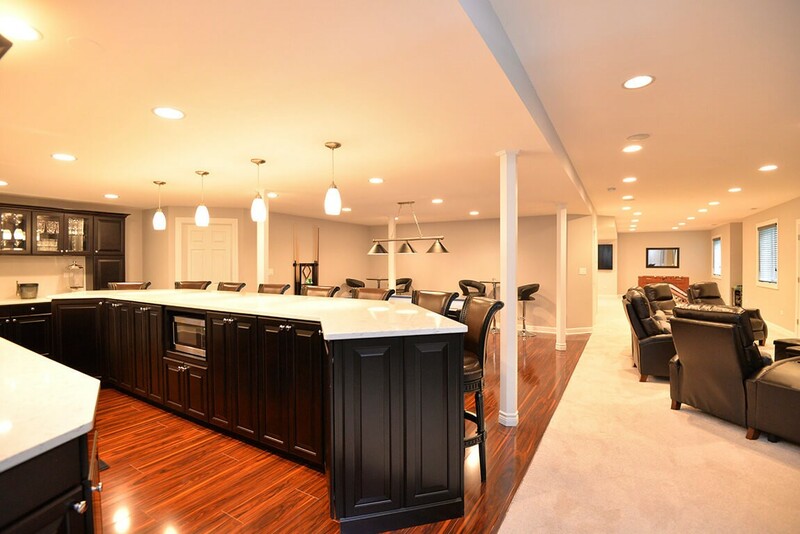 Custom Features: The sky is the limit when you remodel your basement with our experienced team, and we offer an industry leading selection of features, fixtures, and products to customize your new room. 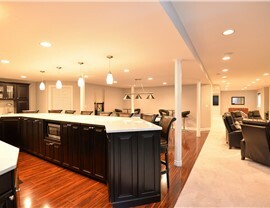 Basement Contractors: If you don’t have a finished basement, you’re missing out on a lot of room in your home. 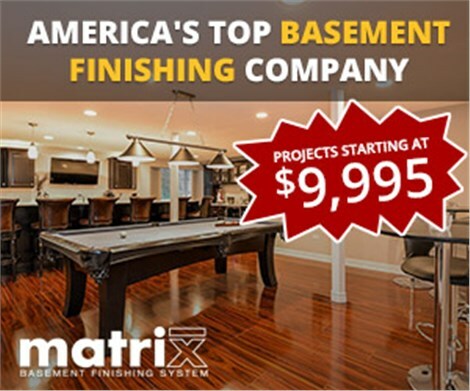 As the trusted choice for a Michigan basement remodeling company, Matrix Basement Systems offers the service that you need and the products you’ve been dreaming of to turn your basement into a highly functional area of your home. 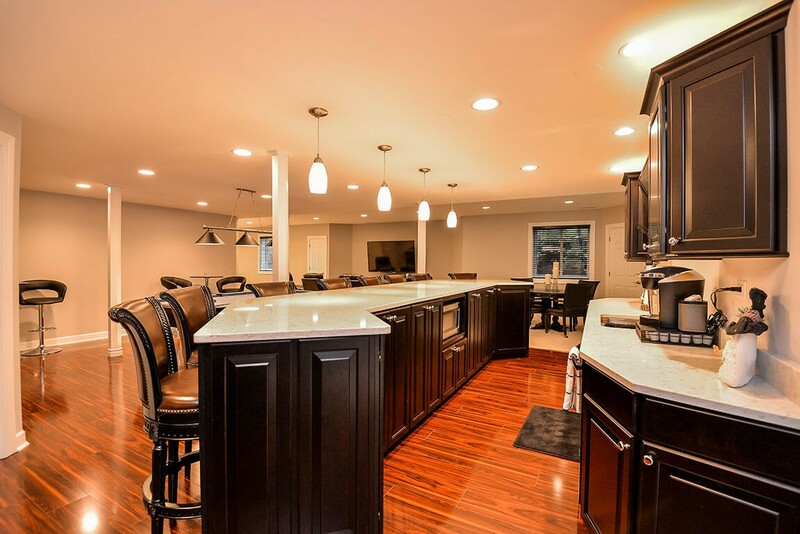 Just give us a call today to learn more about the services that we offer in Canton, or fill out our online form now to request a free estimate and consultation.